Mexican restaurants are just about my favorite spot for date nights or getting together with my girlfriends. Sure, I love the atmosphere, the incredible food, and the margaritas. But the one thing that keeps me coming back is how easy it is for me to order meals that are gluten free. With options like corn tortillas, rice, and guacamole, the possibilities are endless. Sometimes I like to take a break from my usual entrees and go straight for the loaded nachos. They’re so good…but they’re so overloaded with calories. Since nachos are a bit of an indulgence for an everyday meal (you’d be hard pressed to find loaded nachos at a restaurant under 1000 calories), I made a delicious nacho dish out of one of my favorite vegetables. Baked zucchini chips are very easy to make and allow me to satisfy my cravings without the guilt. After baking my zucchini chips in the oven, I added some of my nacho favorites: black beans, avocados, tomatoes, green peppers, corn, and cheese. They take mere minutes to make, so they make the perfect party appetizer. 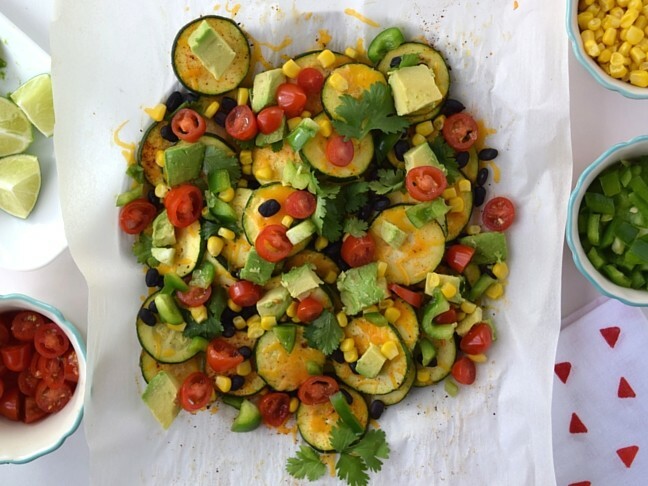 My friends devour these zucchini nachos whenever I make them, and the best part is that you can change the toppings every time you make them. 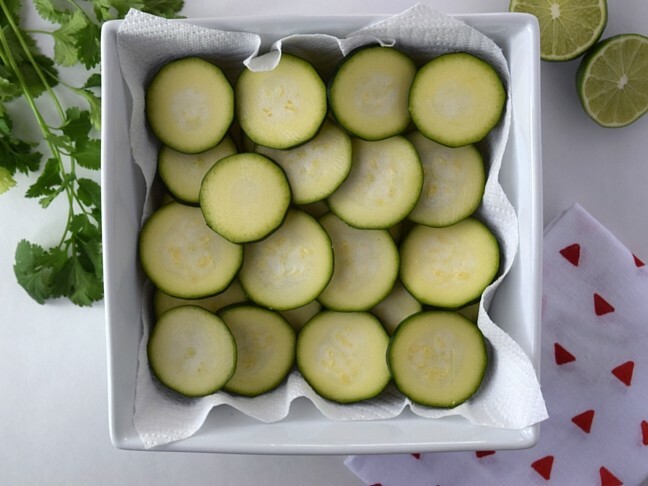 Step 1: Slice your zucchini into ¼-inch slices and layer on top of a paper towel in a large bowl to remove any excess moisture. Step 2: Then, cover with a paper towel and place into your refrigerator to dry out more for 1 hour. Step 3: Next, preheat your oven to 375 degrees. 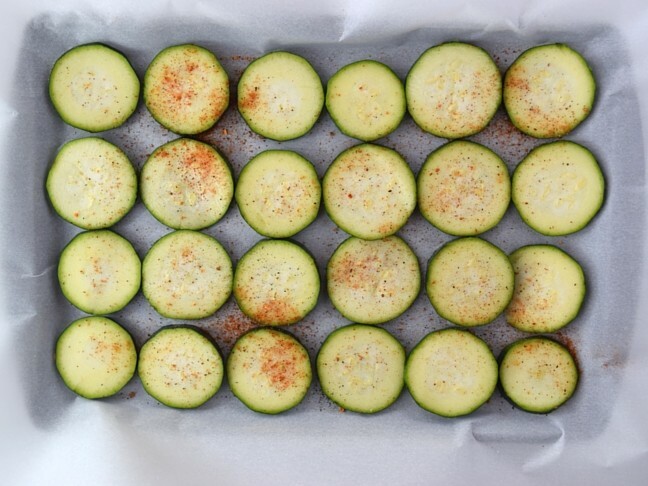 Step 4: Arrange your zucchini slices onto a large baking sheet lined with parchment paper. Step 5: Sprinkle Mrs. Dash seasoning on top of the slices and add a pinch of salt and pepper. Step 6: Bake at 375 degrees for 12 to 15 minutes. Then, remove from the oven and sprinkle cheddar cheese on top. 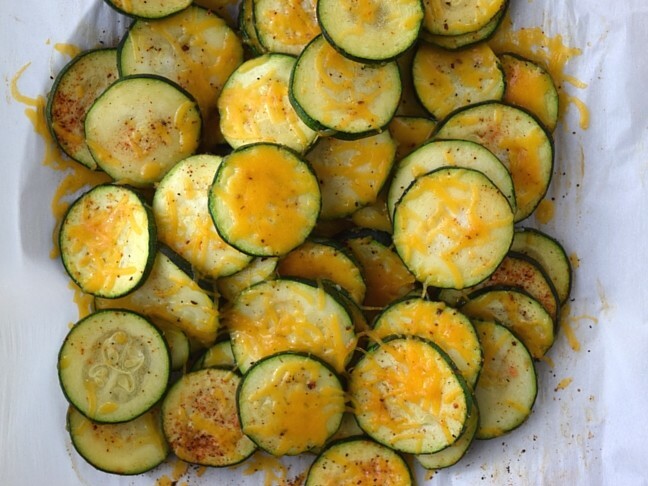 Step 7: Place your zucchini slices back into the oven for another 1 to 2 minutes or until the cheese melts. Step 8: Then, carefully remove them from the oven to prepare your toppings. Step 9: Add black beans, avocados, tomatoes, green peppers, corn, and cilantro. Step 10: Feel free to add more toppings like salsa, guacamole, or sour cream, and enjoy.